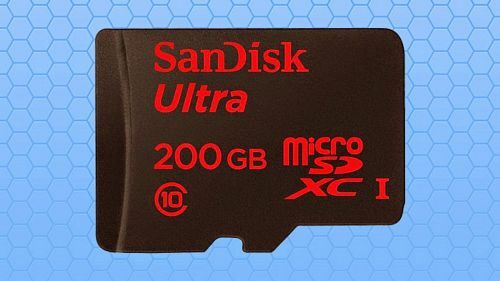 SanDisk Launches World’s First 200GB MicroSD Card! There’s no such thing as too much storage in too small a space. This morning at Mobile World Conference (MWC) announced their latest line up to the microSD card segment, more specifically, their Ultra series. In this case, its the 200GB Ultra microSDXC UHS-I card, and this comes one year after the company released its then-earth-shattering 128GB microSD card. Add this to a BlackBerry Porsche Design device and you have a whopping total of 264GB of memory. Imagine all the data that can be stored one just one tiny card! The 200GB microSD card will set you back a lot too, with a MSRP of USD$399.99.